We’re pushing now twelve years since the revolutionary widespread influx of ethanol in our nation’s gasoline supply. Or is it thirteen? In reality, ethanol fuel has been around since they first started making internal combustion engines in the 19th century. In this context, we’re talking about the widespread availability of ethanol as an oxygenate in most gasolines you buy at the gas station. 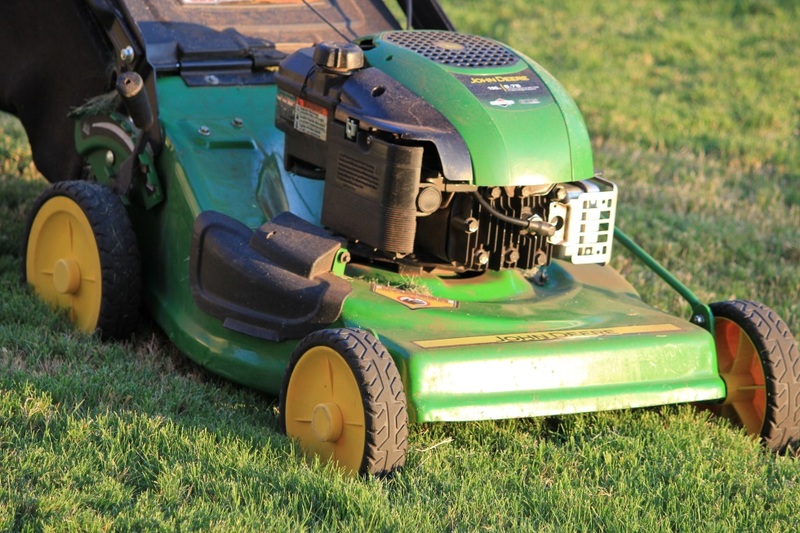 We bring this up because that’s what most people use to power their small engines – lawn equipment, ATVs, portable watercraft, pressure-washers, even their gas-powered generators. Sure there’s non-ethanol gasoline available in some places (more so than last year or the year before), but that’s not what most people use. They just use what they put in their car. Read your small engine owner’s manual and they’ll universally advise to use a stabilizer in the fuel that goes into those engines. If you want to make your small engines last longer, you’d be wise to follow these manufacturer recommendations. After all, they made the thing, right? We say last longer because the cost of not following best practice recommendations is a recipe for shortening the life of your small engine. You take it out the shed after not using it for a month and it won’t start. Maybe the fuel line sprung a leak. If you know enough about mechanics to start taking the engine part, you might see corrosion in the small engine carburetors or blocked ports. All from the effects of unstable ethanol small engine fuel. Consider as well that President Trump lifted the ban last year on selling E15 all year round. This increases the chances that you may have some E15 ending up in your small engine. Engine manufacturers are roundly opposed to this, if only for the simple fact that 50% more ethanol (going from 10% to 15%) could lead to 50% more problems. You can get around this by paying attention at the pump and making sure you don't dispense any E15 for your small engine. But we all make mistakes; sometimes we miss things. E15 gasoline is in need of a good stabilizer more so than the standard E10 is. For stabilizing small engine fuel, you’re talking about treating relatively small amounts of fuel. You’re not so concerned about the fuel itself going “bad” as you are about making sure this fuel doesn’t damage the more expensive engine it’s going into. It’s a whole lot more expensive to buy a new riding lawn tractor than it is to replace a couple gallons of phase-separated gas. This means your small engine fuel stabilizer is going to need to have something that helps the gas ward off phase separation, along with something in the stabilizer to protect the polymer parts from any ethanol solvency. To this point, small engine manufacturers haven’t really addressed the issue of ethanol-resistant parts to the same extent that automakers solved it years ago. Hence the need for a small engine fuel stabilizer that protects in both of these areas. That's about it. If it also has some detergent in the package, that's a definite bonus. A clean small engine works the way it's supposed to. Steer clear of things that talk about “enzymes” and “non-toxic biodegradable stuff made from plants” and other such nonsense. The diverse fuel additive industry has always been rife with new things trying to distinguish themselves in some way. Those kinds of words are code for “let’s fancy up the language so people won’t realize it’s all nonsense”. In reality, the right chemistries for solving and preventing problems in petroleum fuels like ethanol aren’t going to be these kind of things. Nor are there any truly-effective “non-toxic” fuel stabilizers like some of these manufacturers claim. All of the effective chemistries that address real fuel problems......you can't drink any of them. It's a little bit of a red herring, this implication that these are terrible things because they're not "non-toxic". Heck, gasoline isn't non-toxic and we use that, right? Fuel stabilizers that work are nothing to be afraid of. Any time you see a fuel additive that says “non-toxic”, you should write “LIAR!” on the label (like Carol Kane in The Princess Bride) because, even if it is actually non-toxic, it’s going to be toxic to your wallet because it’s not going to work. This post was published on April 11, 2019 and was updated on April 11, 2019.